Since 2016 the Uzbek-American Expedition in Bukhara (UzAmEB) is conducting new excavations at the Hellenistic and post-Hellenistic site of Bashtepa. 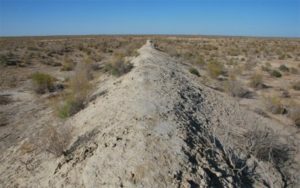 Now situated among barkhan dunes of the Kyzyl-Kum to the west the Bukhara oasis, the site was once situated on the very border of the oasis on one of the major routes of communication to the north, towards Choresmia and from there further into Eastern Europe. Together with about a dozen of well-preserved small hamlets or individual manor houses and ubiquitous traces of irrigation canals and field systems it is part of a uniquely preserved relic landscape dating to the Hellenistic and post-Hellenistic period. In the western part of the former oasis (west of Varakhsha). Today this section runs through the desert-steppe. Photo by Soeren Stark. 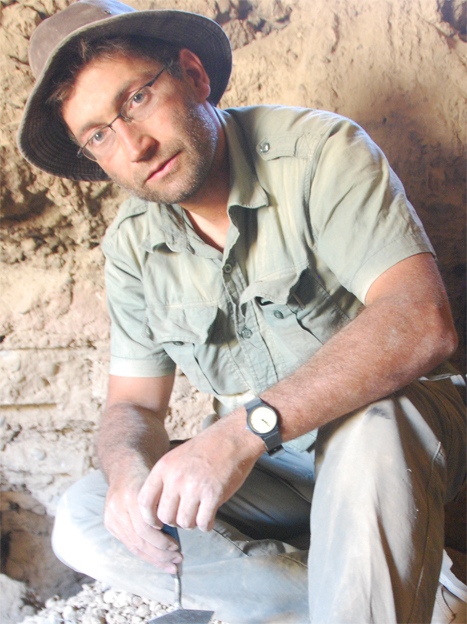 The speaker will present the results of the first season of excavations. They suggest that Bashtepa was founded as a border fortress during the Early Seleucid period after the death of Alexander the Great (end of the 4th/first half of the 3rd century CE). Of particular interest are fragments of “Greek” pottery and well-preserved remains of a pastoral campsite, occupying the summit of the site and dating to the 1st century CE, thus being contemporary with many of the kurgan cemeteries in the Bukhara region. As the first pastoral settlement from post-Hellenistic Sogdiana ever systematically studied, this has the potential to substantially improve our understanding of agro-pastoral complexity in post-Hellenistic Sogdiana and beyond. Interesting topic. I am eager to attend. Thank you for your interest. You are welcome to join us for lunch with the speaker before the talk at the Scarsdale Library. May I ask how you find out about the talk? We are looking forward to attending. Just to confirm, lunch is open to all and it will be at the Scarsdale Library? May I ask how you found out about the talk.